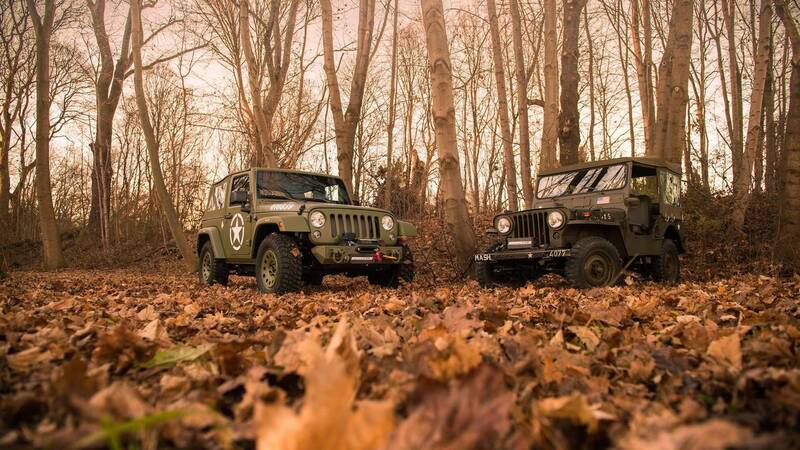 Custom Jeep Wranglers are nothing new. Often the biggest, tallest, and most outrageous examples garner the most attention from fans, specifically those in attendance at SEMA. 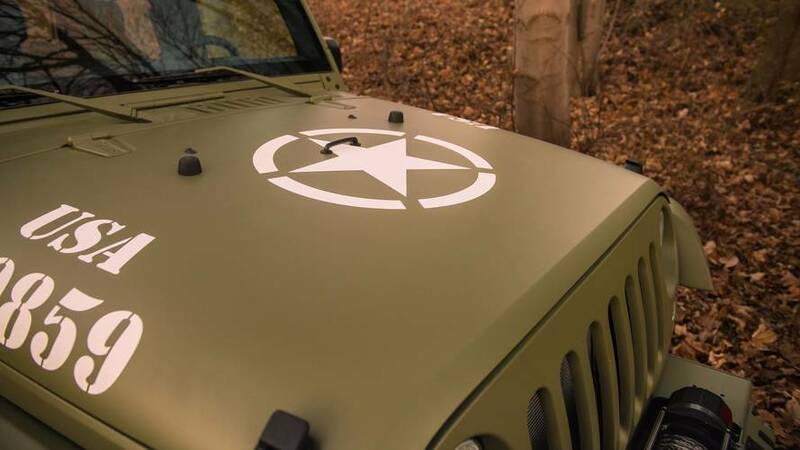 But aftermarket specialists Geiger Cars out of Germany has gone a bit more subtle route with its latest build, honoring an iconic military vehicle in the process. The shop calls it the "Geiger-Willys" Jeep, and as the name suggests, the one-off build honors the original Willys Jeep that was first introduced as a military vehicle in the early 1940s. 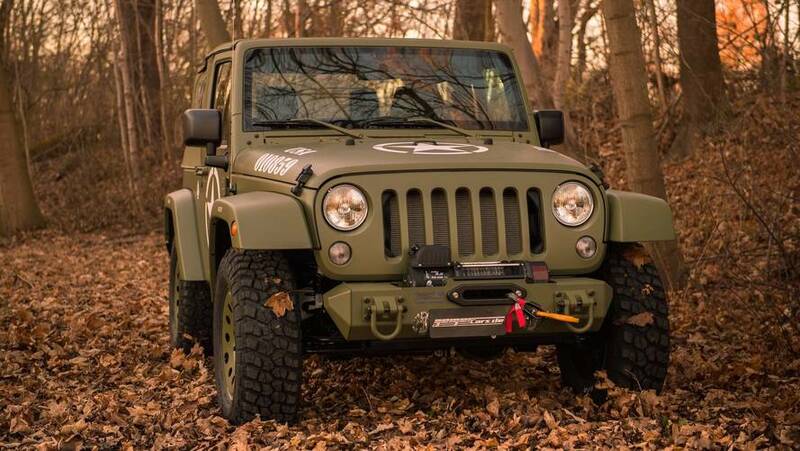 The two-door JK Wrangler comes finished in an olive green Army-style paint job from top to bottom, with a matching olive green top, and appropriate Willys WW2-style lettering and logos throughout. Features like Rugged Ridge bumpers with a motorized winch, steel wheels in the same olive green body color, wrapped in 265/70 R17 tires, a reinforced rear spare-wheel carrier, a sound flap exhaust system have all been added to the exterior. 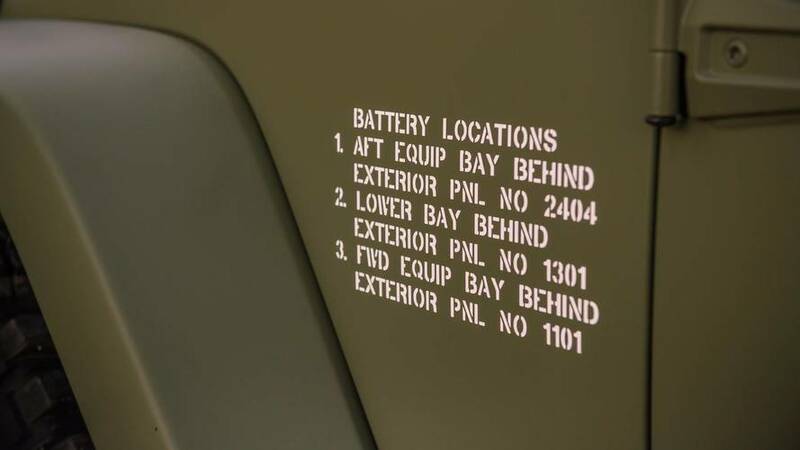 In the cabin, fabric seats coated in the same olive green finish found on the exterior give the Jeep a more rugged look, both inside and out. Under the hood, the same factory 3.6-liter Pentastar V6 remains. Geiger opted to leave the engine completely stock to retain its authenticity. The V6 pumps out a respectable 284 horsepower (211 kilowatts) and 255 pound-feet (347 Newton-meters) of torque, and comes paired to either a six-speed manual or automatic transmission with all-wheel drive, naturally. All told, a complete example directly from Geiger Cars in Munich will set buyers back €68,900 ($80,700). 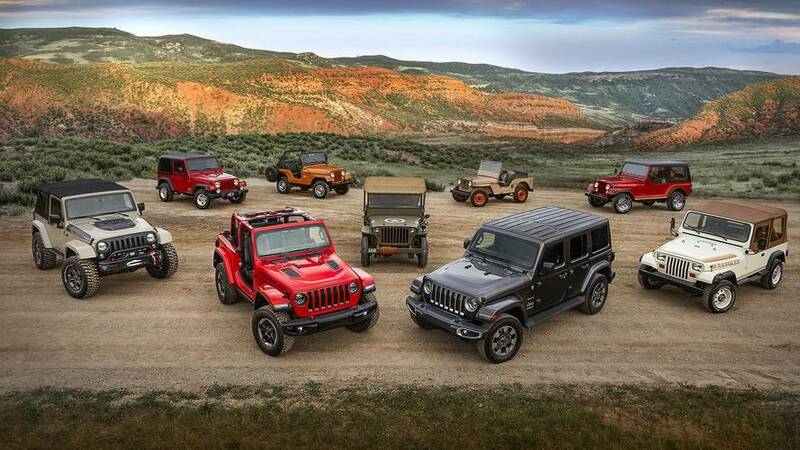 But hurry, the shop says that just 10 examples of the throwback Jeep will be built.